Every November I put myself through the pure torture of trying to get a family photo for our Christmas cards. Now way back in the old days when we had just one child it wasn't so bad. We'd get the little guy dressed up in his cute holiday outfit and head on over to the mall for a photo session. An hour later we would walk away with a decent photo. Well then we went and had twins and went from one child to three. Suddenly trying to get a family photo became nearly impossible. First, I'd spend way too much time (and money) hunting down matchy outfits for the boys. Then instead of having a somewhat peaceful photo session now utter chaos broke out. One child would sit nicely, another child would keep trying to run off while the third child would just cry and scream. By the time we were done, I was the one in tears and I would vow to never do it again. And of course the next year I would be right back in the same spot. Two years ago we changed tactics and had a photographer come to our house. The result was probably the best family holiday photo we ever had and doing it in our own home made it so much less stressful. Then last year I decided to cut myself and my husband out of the Christmas photo and I took a picture of just the four boys myself. Greatest picture ever? Absolutely not. But it was free and I didn't have to set foot in a mall. So to me, it was perfect. Since I still have a very uncooperative toddler (a.k.a. the devil) on my hands, I am steering clear of mall portrait studios again this year. To venture in there now would just be pure torture again. Maybe in a few years when everyone is older and behaves, I will try again. How do you get your holiday portraits done? For the second year in a row, Connecticut is ending October with a devastating storm. Last year we had a Nor'Easter that dropped 18 inches of snow in a short amount of time and left pretty much the entire state without power for days (even weeks for some). We were without power for 5 days. Now we are bracing for Hurricane / Tropical Storm Sandy, which should hit here later today. The coastal towns of Connecticut have all issued mandatory eveacuations as they anticipate catastrophic storm surges and flooding. Here in the inland of Western Connecticut, we may not see much rain but we will be dealing with winds of up to 85 miles per hour. Which of course means downed trees and power lines and potentially days of no power. We have been preparing the best we can over the past two days. I'm not one to run to the store in a panic to buy bread and milk. I already have tons of break and if we should lose power, I don't have a generator to keep all the milk cold. But we filled up our tub and lots of buckets with water for flushing and washing. I've made tons if ice in order to keep things cold for as long as I can. We've got batteries for flashlights and the kids' handheld gaming devices so stave off the boredom as long as we can. And most importantly, my Kindle is charged and loaded with lots of books for me to read. Now we just sit and wait. Already the wind has really picked up and I know itis only going to get worse by this evening. I'm hoping the power stays until I can at least make dinner. Otherwise it will be a PB&J night! 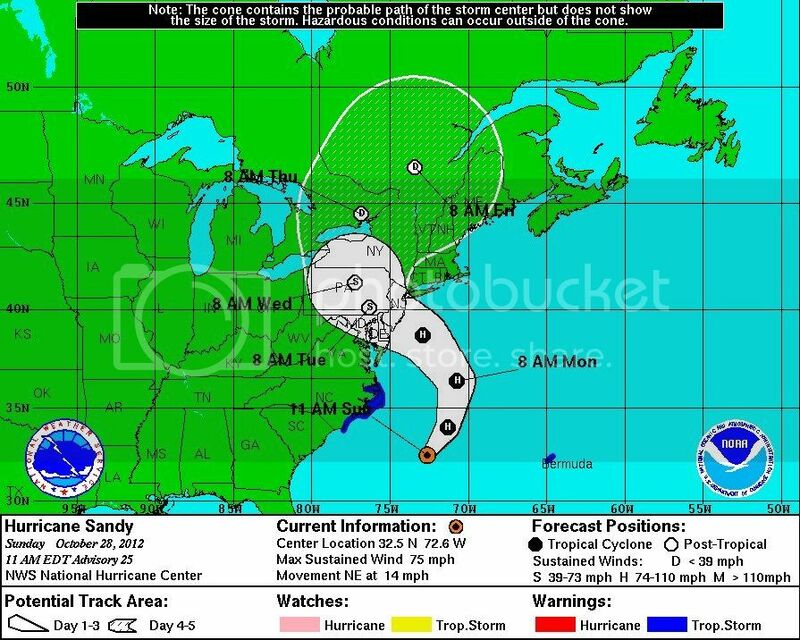 If you are in Sandy's path, I hope you stay safe. 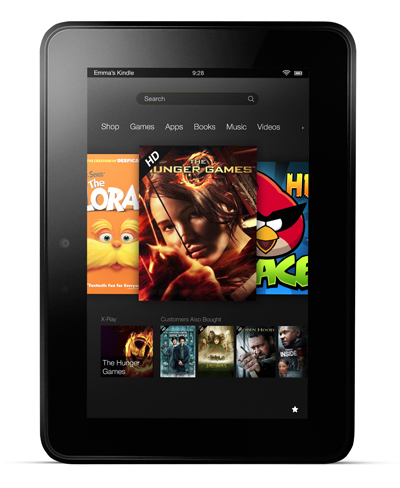 With just a little over two months left until Christmas, it's time to start getting your holiday shopping underway. I know there are overachievers out there who are already done, but there are plenty of us who have yet to start. And now that I just freaked myself out by realizing I have just over 60 days, I need to get cracking. 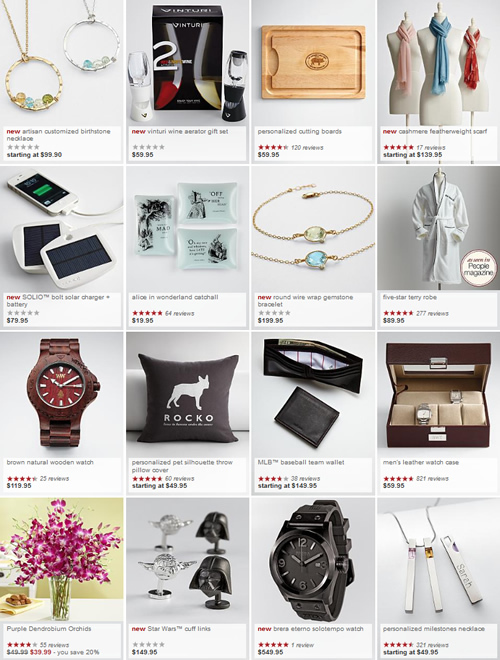 One of my favorite online stores to browse and shop for unique gifts is Red Envelope. Red Envelope has an eclectic selection of Christmas gifts that range from jewelry, apparel to gadgets and even cool things like Star Wars cuff links. Yes, leave it to me to find the lone Star Wars gift on there which would be an awesome gift for a guy. I opted to use this review opportunity to get something for myself though. 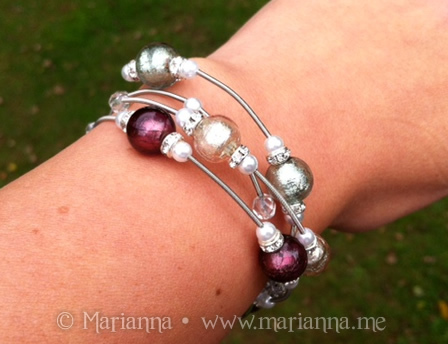 A few years ago, my brother and sister-in-law brought me back a beautiful Murano glass bracelet from Italy. When I saw that Red Envelope has some Murano glass jewelry, I immediately knew that was what I was getting. 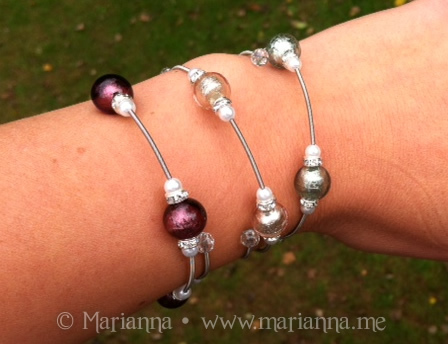 This murano glass beads bracelet is made in Murano, Italy and features three spring-wire bangles with glass pearls, Swarovski crystals and hand-blown Murano glass balls. It is available in two color sets which is which is great since many people prefer gold over silver or vice versa. The gold-colored bracelet features iridescent tones of gold, amber and aqua while the silver-colored bracelet features iridescent tones of plum, rose and light blue. For myself I chose the silver since I do not where any yellow gold toned jewelry. The bracelet set arrived in a pretty red box with a soft felt envelope inside to protect it. The box is great if you are giving this as a gift to someone: just place it in a gift bag and you are good to go. I fell in love with this bracelet immediately. I love the colors and the simple elegance of the bracelet. It is not to flashy or overwhelming. 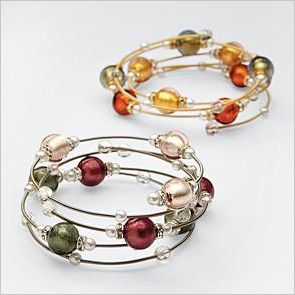 Since this is made of three individual bangles, there are several different ways to wear the bracelet. My favorite is to intertwine them together so they look like one bracelet. But you could also arrange them individually on your wrist or even wear just one at a time. The unique selection of gifts at Red Envelope means you can find something for everyone on your holiday shopping list. And if you are on a budget like me, they do have a section for gifts under $50. Definitely head on over to get your holiday shopping started or maybe to just buy yourself some pretty jewelry. Have you taken the time to learn all the benefits that come with your health insurance? I am not talking about the obvious basics like what type of coverage you have or what your co-payments are - I think most of us make a point to know those things immediately. But have you delved in deeper to find out what additional programs your insurance carrier offers? Programs that are designed to help you stay healthy? I can honestly say that I have not learned about all that our health insurance provides, but after learning about WellPoint, it is definitely something I am already looking into. "WellPoint is one of the largest health benefits companies in the nation. The company has affiliated health plans in 14 states that fall under the names Anthem BlueCross and BlueShield, Anthem BlueCross in California, Empire BlueCross BlueShield in New York and BlueCross BlueShield of Georgia. While you may typically think of health insurance within the context of paying the bills, the industry is recognizing that you need more than just that. You need help keeping both you and your family healthy and out of the doctor’s office in the first place. Like never before, plans are tailored to meet your needs with programs, tools and services that work with you to personalize your health care experience and that revolve around your schedule, no one else’s." WellPoint plans do more than just provide health insurance coverage; they also provide tools to help you live a healthy life. Some of their offering range from a 24/7 NurseLine to the Future Moms maternity program and even a Fitness tool. If you are a parent this has undoubtedly happened to you at some point (or it soon will): it is after business hours and you have an important but non-emergency medical question for your pediatrician's office that cannot wait until the next day. What do you do? Our pediatrician does have a doctor on call after hours, but I would never call and wake them up unless it was an emergency. WellPoint affiliated plans provide you with a NurseLine where you can get your questions answered by an experienced registered nurse anytime of day or night. What I like about this is that you can a nurse directly on the line without having to go through automated messages or someone screening the calls. The Future Moms maternity program gives personalized support to expectant moms. I cannot tell you how much I wish I had something like Future Moms available to me when I was pregnant with my first son. That first pregnancy is tough when you have absolutely no clue what is going on and what is normal and what isn't. It would have been great to have additional support. In addition to support during your nine months to help you have a healthier pregnancy and delivery, there is also post delivery support to help with screening for postpartum depression that may arise. OK moms, how many of you can't seem to find the time to work exercise into your busy schedule? Probably most of you - I know I sure have trouble with it. WellPoint and its affiliated health plans have partnered with FitOrbit to offer convenient and affordable ways for you to achieve your personal fitness goals. FirOrbit will give you access to a real personal trainer, a customized meal plan which includes recipes and shopping lists and a personalized fitness plan. I love that the fitness plan is setup so that you can do it anytime and anywhere - basically anywhere you can sneak in a few minutes of exercise. I think it is great to have insurance plans that are looking out for your well being and providing tools to help you live a healthy lifestyle. If you are part of the Anthem Blue Cross Blue Shield plans listed above, you should call to see if you can enroll in these extras. And if you are not part of those plans, research your own plan and see if they offer similar services. In our hectix lives, it is really nice to have some extra help and support. Anthem Blue Cross Blue Shield and The Motherhood engaged me for this post. There may be some women out there in the world who who don't care for jewelry, but I certainly am not one of them. I love a beautiful piece of jewelry! Pearls are not really something I have given much thought to. I have a traditional set that once belonged to m great grandmother, and I naively thought that was how all pearls looked. I had no there was a variety of pearl colors out there but once I realized it, I had to get my hands on some. Pearl Distributors offers a wide selection of various types, sizes and colors of pearl jewelry including necklaces, bracelets, earrings and more. I have to admit that I was surprised to see lavender and black pearls, since I had never seen those colors before. This of course then led to a day long battle in my head, and a survey of my Facebook friends, of which color to choose. I ended up going with a black freshwater pearl necklace because I loved how they have almost an iridescent glow to them and there are purples and blues mixed in there. The necklace I received is beautiful and I am so happy with my color choice. The necklace arrived quickly and safely in a felt lined box and also came along with it's appraisal papers. Being the purple clothes hoarder that I am, I of course immediately wore it with a purple shirt and I think they went beautifully together. The clasp on the back comes in either yellow or white gold. The mechanism was a little bit tricky for me at first but once I figured it out, it was easy to get on and off. I like it because i think it would be very difficult for it to become unclasped and fall from your neck. Overall I am very pleased with my necklace and now I want some earrings to match! Are you like me with a very limited knowledge of pearls are do you consider yourself a pearl expert? Let's take a quick visual quiz below and see. 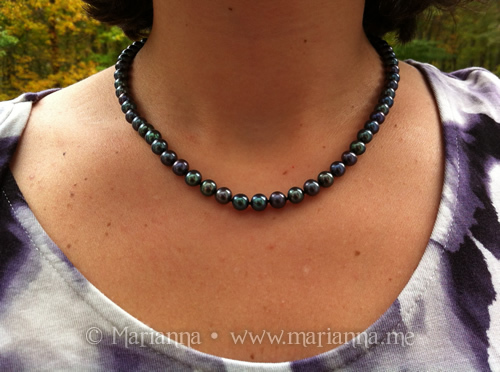 In the photo below are three types of pearls: Tahitian pearls, Freshwater pearls and Akoya pearls. Can you tell which is which? Click on each image for the answers then scroll down to enter the giveaway! 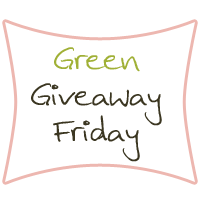 One (1) winner will receive a Black Freshwater Pearl Necklace from Pearl Distributors. 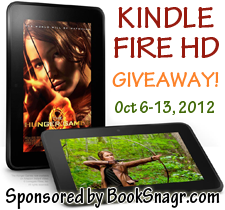 Giveaway is open to US residents only and will end on October 25 at 12:01 am EST. Please use the Rafflecopter form below. Good luck! Everyone knows actor Jeremy Renner for his role as Hawkeye in The Avengers, right? Let's face it, that was an awesome movie and he did a great job. I have to be honest though, I have not seen him in anything else. But thanks to my good friend Lee over at Entertainment ExactLee and her love for Jeremy, I know more about him than I probably ever cared to. And I know right now she is reading this and very disappointed that I have not seen any of his other films. Sorry Lee! So thanks to Lee I discovered that the independent film Ingenious that Jeremy Renner recently starred in has been unable to make it into theaters due to a lack of funding. The production company Arriba Films recently started a Kickstarter campaign to get some investors. 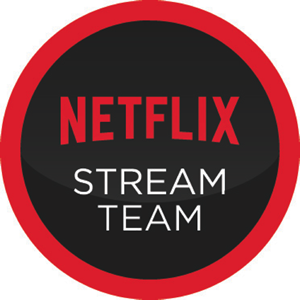 Although they have already met their goal, there is still time for you to back this movie and by doing so you can get a little something for yourself as well. For example if you pledge $40 you will receive a Blu-Ray of the movie with the Kickstarter Exclusive behind-the-scenes Featurette plus Deleted Scenes. The higher the dollar amount the cooler the gift you receive so it is worth a look. Even if you are unable to donate it, tweet about it and help spread the word so we can all help make Lee happy and get her favorite actor back into theaters.